The PT test measures the prothrombin time and INR in the blood. What is a PT test? The PT blood test measures the PT blood level and INR. Why is a PT blood test important? 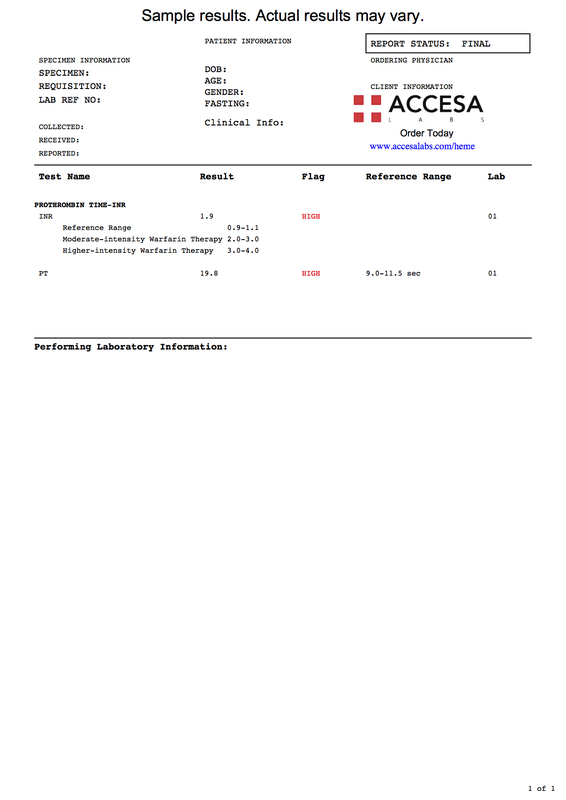 The PT lab test helps assess the protime/INR in the blood. This PT Test is a blood test. The PT test, sometimes known as a prothrombin time assay test, PT blood test, PT lab test and a protime test, measures the PT blood level. The prothrombin time (PT) is used to evaluate a pathway of the blood clotting process in humans known as the extrinsic pathway. Sometimes called protime INR, the PT test helps evaluate factors I (fibrinogen), II (prothrombin), V (proaccelerin), VII (proconvertin), and X (Stuart-Prower Factor). A regular PT lab test is done to help manage medication doses in patients taking warfarin although some people opt to get the more comprehensive INR test which includes this PT test and the PTT test. Getting a PT test near you at a Quest Diagnostics lab is typically a straightforward process after you order online. Once you get your blood drawn, your PT results will come back relatively quickly. As can be seen on the PT lab report above, this test will report both the PT and INR levels (calculated from the PT result) as numbers which can be compared against the reference range provided by the lab. The PT result is reported in seconds. PT Test at Guaranteed Prices.